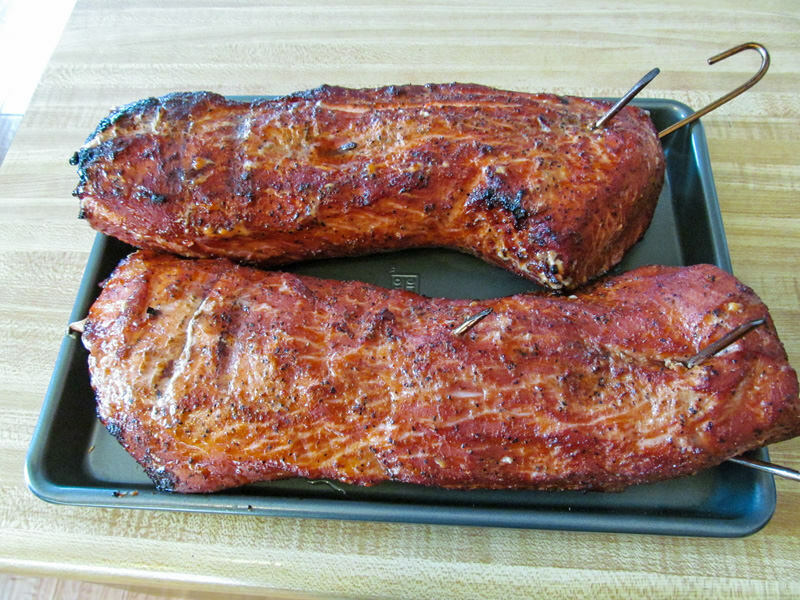 pork loin - The BBQ BRETHREN FORUMS. do you trim the fat cap (silver skin) off or leave it on? I'll trim SOME of the fat off but like to leave some too. Any obvious silver gets trimmed, but I'm not to picky. Mine has always came from the butcher trimmed within an 1/8 of an inch, and I leave it as is. I remove all silver skin, remove all the soft stringy fat, but will leave a little of the denser fat. I also remove any flaps or tags of meat that will burn during the cooking. The most important thing for me is watching the finish temperature... I pull them when the thicker areas are temping 143°-145°. Although not mandatory, I like to inject a lite brine, or some apple juice into loins.